As the country struggles with an opioid epidemic that now kills tens of thousands of people each year, a new downtown St. Paul syringe exchange is a sign that some local governments are embracing once controversial measures in an effort to keep people who inject drugs as healthy as possible. 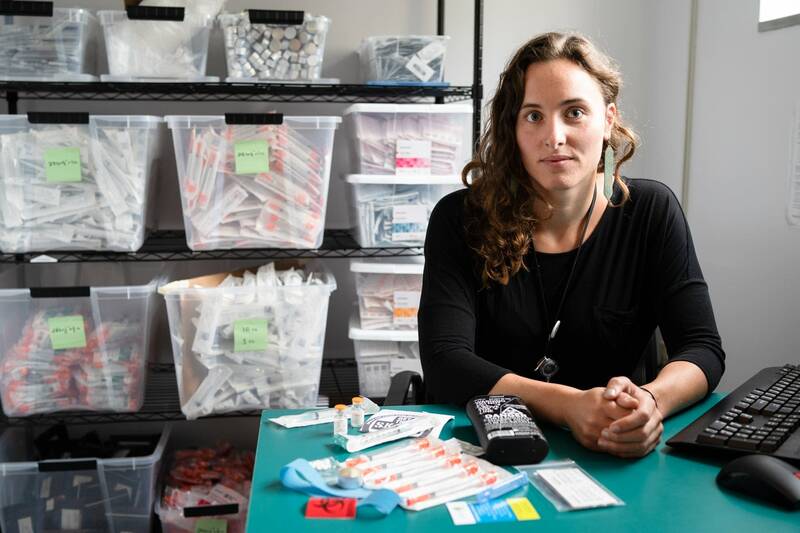 Hilary Zander runs the syringe exchange, which opened earlier this month, out of a small room on the first floor of Ramsey County's main clinic. Besides the usual rows of pamphlets and a bowl of condoms, there also are boxes piled on shelves containing different sizes of syringes, as well as cottons, cookers and tourniquets — items used to inject heroin and other drugs. "Our policy is that we have a one to one-plus-10 rule, so if someone comes in with 10 syringes then we give them 20, if they come in with no syringes we give them 10," Zander said. "For every 10 syringes, they get one of the safe injection kits." In addition to clean injection supplies, Zander said they have containers to keep used syringes, HIV and hepatitis C tests and naloxone, the medication that's used to reverse an opioid overdose. "We're much more than just come in, get rid of your old needles and get new needles and equipment," Zander said. "We try to really be an access point to people who are very marginalized and can't access traditional medical care and clinics." They try to address outright concerns that people may try to use drugs in the building. On one door there's a sign that says "Please don't use in the bathroom or the exchange service will get shut down." "It's a shared space, there are lots of people here," Zander said. "If someone does overdose we wouldn't necessarily be able to get to them and call emergency services before it's too late." The clinic's work is more complicated because it often involves people who inject illegal drugs. People who want to use the exchange program don't need to walk in the clinic's front entrance. There's a nondescript steel door at the back of the building with a doorbell for clients to ring. Inside the entryway is a big, black cabinet where staff dispose of used syringes. Zander said it's one way they're trying to put people who face stigma for injection drug use at ease. The service is free and anonymous. "Our initial goal of our program is to establish trust with clients, we want to make clients feel safe and comfortable, know that there are people who can connect them to services, give them the education and the information that they need, and just help to meet them right where they are right now," Zander said. The number of opioid users in the United States has been climbing for 15 years, as people migrated from using prescription opioid painkillers to injectable street drugs like heroin. The opioid overdose epidemic now kills about 30,000 Americans each year. But injection drug users, who number around 775,000, also risk illnesses like hepatitis C and HIV, as well as other infections. The Centers for Disease Control and Prevention says reported cases of hepatitis C increased more than threefold between 2010 and 2016, due in part to rising rates of injection-drug use. Minnesota has seen similar increases. For years, a policy banned the use of federal funds to pay for syringe programs, although it's been relaxed recently. Some states also banned syringe programs outright or made it difficult to obtain clean syringes. 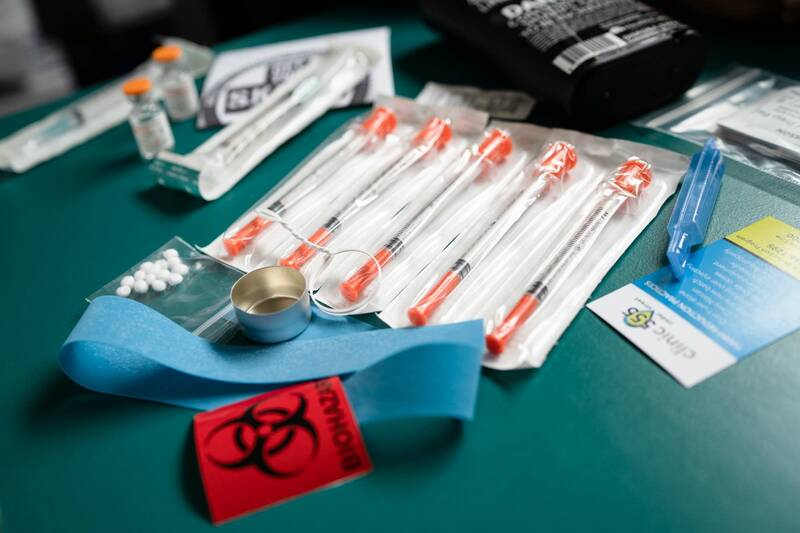 The CDC warned in 2016 that there were not enough syringe-exchange programs to address new HIV and hepatitis infections spread by injection drug use. In 2016, then-CDC director Dr. Thomas Frieden urged states and counties to embrace syringe exchange programs. "We risk stalling or reversing decades of progress in HIV prevention," Frieden said. "Science shows that syringe exchange services work, they save lives, and they save money." In Minnesota, a 1998 law allows pharmacies to exchange syringes without a prescription. St. Paul-Ramsey County Public Health wanted to see how effective these programs were, said director Anne Barry. 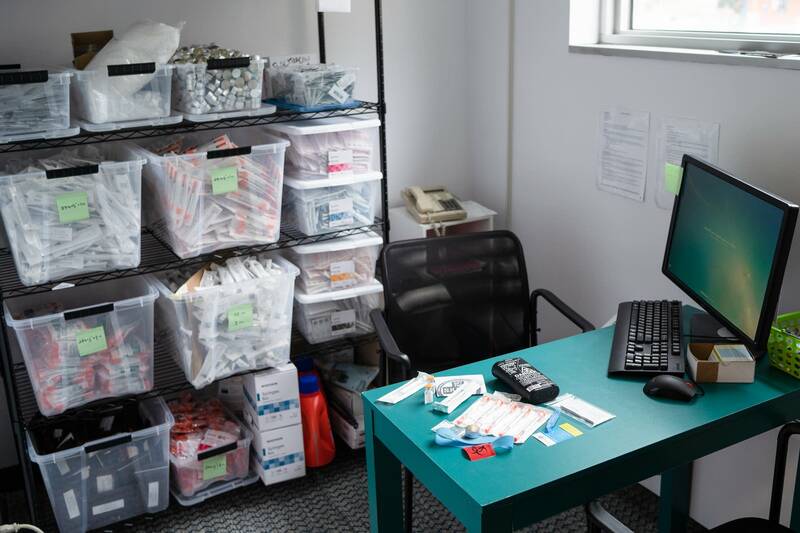 In a study last summer, the county found that only half of the 63 pharmacies they contacted exchanged syringes at all, and some of those pharmacies had policies in place that made it difficult for people to actually get clean syringes. "I think it was a really well-intentioned statute, but it didn't just work out the way that legislators expected it to," Barry said. The county applied for and received a five-year grant to open up the syringe exchange service at a cost of $125,000 a year. 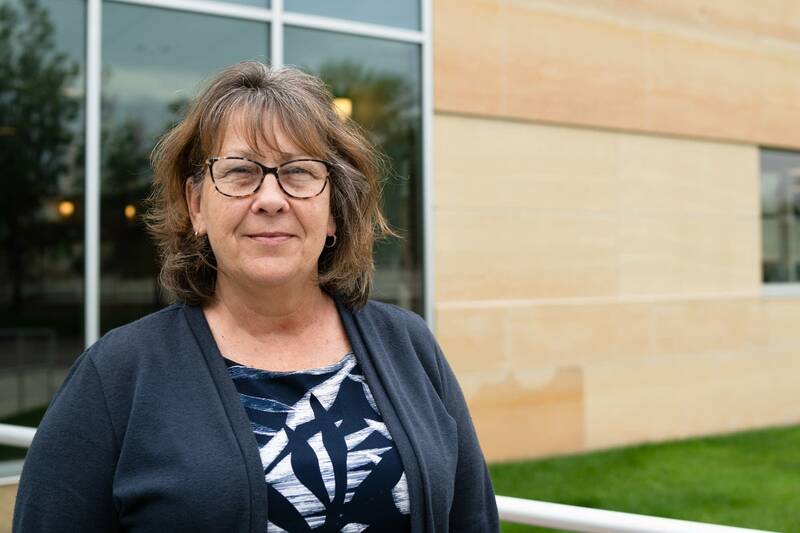 When Barry served as commissioner of the Minnesota Department of Health two decades ago, she remembers getting pushback about syringe exchange programs from state legislators. That opposition has largely evaporated in recent years as research shows the exchanges' effectiveness and officials scramble to address rising overdose deaths. "Our job is to protect the health of people," Barry said. "We protect the health of the individual and entire population by using syringe exchange, and that's been pretty widely proven." The exchange is located in Ramsey County's main clinical building at 555 Cedar St. in downtown St. Paul, and is open four days a week. There are a number of other syringe exchange programs in Minnesota, including a handful in the Twin Cities. Hennepin County has run an exchange program in Minneapolis since 2015 that's currently open two days a week.